On April 24th, the Cheech and Chong Up in Smoke tour featuring WAR is coming to the Mystic Lake Casino in Prior Lake, Minnesota. Tickets go on sale this Wednesday at 10am local time via the link above. 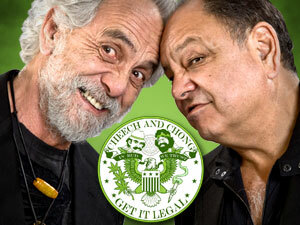 It's a sad day for Cheech and Chong fans. Up in Smoke's Ajax Lady, June Fairchild, has passed away from liver cancer. She was 68. Fans saw her not too long ago (April 2013) at the premiere of Cheech and Chong's Animated Movie. June looked great. However, June had a history of drug and alcohol addiction. She had lived on the streets, where she was beaten and raped. June spent her last years living on Social Security disability payments in small rooms in downtown hotels. Besides being known as one of the stars from Up in Smoke, she was in dozens of movies, she also coined the name for the band Three Dog Night. 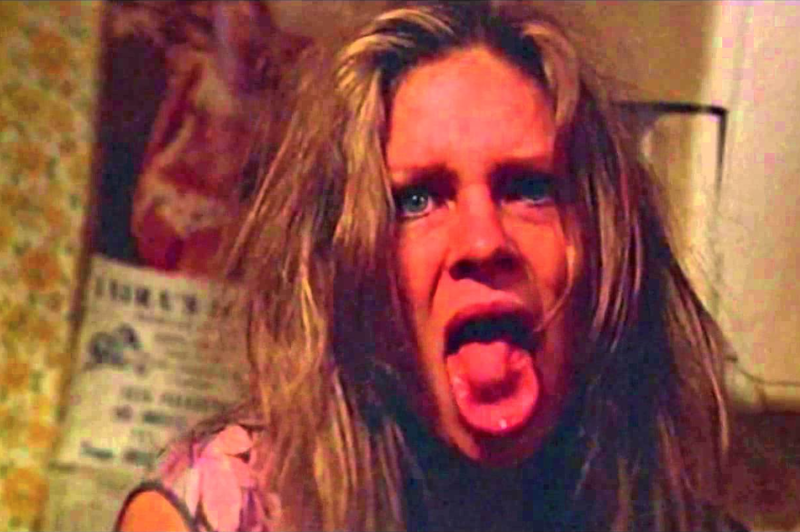 Cheech used to hire her to do stand-up at parties. In 2002, she told The Times that she signed a contract at Paramount Studios for use of her likeness on bobble-head dolls of the Ajax Lady from "Up in Smoke." Up in Smoke wasn't the first time she performed the Ajax Lady character. She first did it in a Jack Nicholson film. June died Tuesday after being put in hospice care over the weekend. Friends are hoping that Tommy Chong will help with funeral expenses. She is survived by her daughter, grandson and brother. On March 21st, the Cheech and Chong Up in Smoke Tour featuring WAR is coming to the Foxwoods Casino in Mashantucket, Connecticut. Tickets go on sale this Friday at 10am local time via the ticket link above. WEST PALM BEACH, FL / ACCESSWIRE / February 3, 2015 / FastFunds Financial Corporation (OTCPK: FFFCD) (the "Company") announced today that it will be demonstrating and marketing through its 49% owned marketing subsidiary Cannabis Merchant Business Solutions, Inc. ("CBMS") the Tommy Chong Cannabis Green Card at the "CHAMPS" Trade Show at the Las Vegas Convention Center February 3-5, 2015. The CHAMPS Trade Show bills itself as the premier counterculture business-to-business trade expo in the world since 1999 and has grown into the world's largest and most popular convention for the industry. The Tommy Chong Cannabis Green Card functions as a pre-paid loyalty debit card with a turnkey customer rewards technology. In addition, the card functions as a re-buildable stored value card that can be used to purchase merchandise at the participating dispensary. Tommy Chong is an actor, writer, director, activist, and musician. He is well known for his marijuana-themed Cheech & Chong comedy albums and movies with Cheech Marin, as well as playing the character Leo on Fox's That '70s Show. Tommy Chong most recently starred in ABC's Dancing with the Stars and continues to be an active proponent of the legalization of marijuana. Curt Martig, President of CBMS stated, "We look forward to this trade show and are excited to be able to offer our product to the CHAMPS attendees. We are hopeful this tremendous exposure will lead to increased awareness of our Tommy Chong Green Card product and provide us an invaluable opportunity to market it to the merchant community." FastFunds Financial Corporation ("FastFunds" or the "Company") is a holding company that is publicly traded on the OTC Pink exchange, under the symbol "FFFCD." Through its wholly-owned subsidiaries, Cannabis Angel, Inc. and The 420 Development Corporation, the Company is focused on acquiring and building a portfolio of revenue producing companies that provide ancillary services to the cannabis industry. FastFunds does not engage in activities that violate Federal laws. This news release may contain forward-looking statements that are made pursuant to the "safe harbor" provisions of the Private Securities Litigation Reform Act of 1995. While these statements are made to convey to the public the company's progress, business opportunities and growth prospects, they are based on management's current beliefs and assumptions as to future events. However, since the company's operations and business prospects are always subject to risk and uncertainties, the forward-looking events and circumstances discussed in this news release might not occur, and actual results could differ materially from those described, anticipated or implied. For a more complete discussion of such risks and uncertainties, please refer to the company's filings with the Securities and Exchange Commission.